Thrown together for three days on the paradise island of Taveuni, a lonely Norwegian biologist, a bereaved English novelist, and a strange and beautiful Spanish couple so much in love they seem to have evolved a private language, fill the long Pacific nights by playing bridge, telling stories, and discussing ideas. This brief encounter is no mere interlude, but the start of an intertwined story, full of illusion and allusion, that will unfold many months later. Part tragedy, part mystery, and, above all, a love story, Maya debates and unravels the questions that give meaning to the lives of its characters—and to our own. 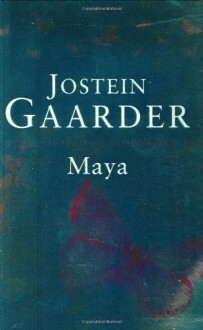 Jostein Gaarder is the author of Sophie's World, a huge bestseller in over 40 countries.